Computational thinking (CT) concepts are newly introduced concepts in the Malaysian curriculum. 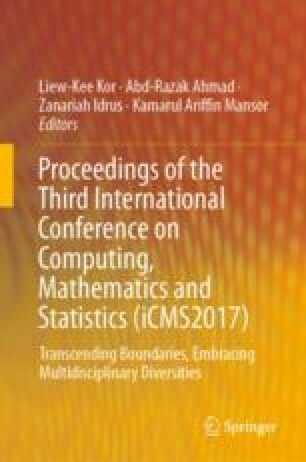 This study is therefore designed to investigate Malaysian teachers’ perception on the integration of computational thinking skills in their teaching and learning practices. A survey form was designed based on the Technological Acceptance Model (TAM) and was disseminated throughout Malaysia to gauge teachers’ perception on CT based on the perceived usefulness of CT, perceived ease of CT integration into teaching and learning practices, teachers’ attitude towards CT and their intention to use CT in their classrooms. A total of 166 primary school teachers participated in the survey and the data was analysed using Structural Equation Modelling (SEM). This study managed to predict Malaysian teachers’ intention in integrating computational thinking skills in their classroom practices via two significant determinants, namely the perceived ease of integration and positive attitude towards computational thinking. This study is important because it highlights factors affecting teachers’ perception on the newly improvised curriculum, and is an effort to support CT delivery in Malaysian classrooms.